Why Did The CIA Censor A 1965 Book Called The Adam And Eve Story? With These Numbers Showing A 'Future American Holocaust', Why Did CIA Censor 1965 Book Titled 'The Adam And Eve Story'? Over the past several years, ANP has reported numerous times on the bizarre population numbers being forecast for America for 2025, numbers which project the US to have only 54 million people living here by then, down from 324 million in 2016. While back in October of 2014, Deagel gave us their own explanation as to why they believe the US's population will suffer such a horrifying loss as we republish at the bottom of this story, we keep coming back to who it is Deagel gets their information from. As we see in the screenshot below from their website, Deagel's sources include the US Department of State, the CIA and the US Department of Defense. In other words, Deagel's sources for their forecast of the catastrophic depopulation of America ARE 'the deep state'. As we reported on ANP back on April 9th of 2015, according to Deagel, the main reason that there is expected to be such a huge population drop in America by 2025 was "a confluence of crisis with a devastating result." We find it very interesting that Yahoo News has just put out this story titled "Confluence of crises crashes Trump's 'Infrastructure Week'". While they specifically state in their explanation that they DO NOT take nuclear war into account for their population forecast, as several ANP readers have recently pointed out in our comment sections, should such a massive depopulation of 270 million Americans be the globalists goal, that agenda should all be in motion as 270 million people won't simply 'disappear' overnight. Or could they? In asking Steve Quayle why he believes Deagel is forecasting such a huge population drop for America, he gives us several different possible scenarios we share below which could happen by 2025 that would leave America looking like simply a shell of its former self, one of which we'll look at in great detail below after learning about this 1965 book long censored but saved over at the CIA Library which we've embedded for you below titled "The Adam and Eve Story". Why was a 1965 book being saved and censored by the CIA? As we see in the book embedded below, this now-declassified, 'sanitized' version of "The Adam and Eve Story" details for us the sudden 'end' of life upon our planet Earth. 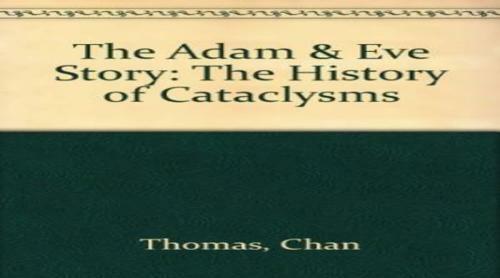 The book was written by Chan Thomas, then one of the world's foremost experts in geological cataclysm, and in it he details for us his very controversial pole shift theory which he says has been happening over and over again through history and will come again, "just as it came to Noah". 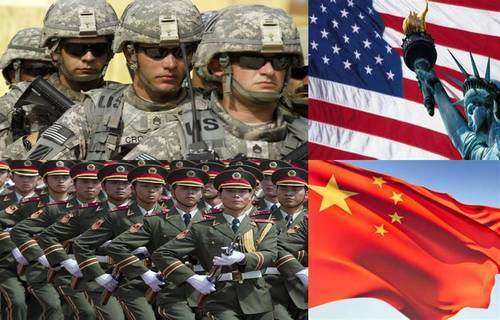 With rumors of a devastating nuclear war also still hanging in the air after Admiral Harry Harris, the next US Ambassador to Australia, warned Americans that "the US must prepare for the possibility of war with China", that announcement came just days after FBI Director Christopher Wray proclaimed "the whole of Chinese society is a threat to the US — and that Americans must step up to defend themselves". And as we hear in the 2nd video below from Infowars, while ANP hates to put exact dates upon future 'events' that are out of our own control such as when a world war might begin, Alex Jones claims that he's been told by his sources that North Korea plans to launch a pre-emptive attack upon Japan and possibly America in a window between March 28th and April 2nd. Propaganda to push for another globalist war? We pray that such an 'end game war' will be avoided. Let's take a look here at some of the reasons why Steve Quayle believes we might be able to get to the population numbers being forecast by Deagel for the US for 2025, numbers which show a tremendous culling coming. "There are multiple ways that we can have that great a population decline in the US - mass bio-weapon attack and or multiple nuclear strikes, by our increasing nuclear possessing enemies list. An EMP grid takedown, which would result in mass death due to the resultant starvation. In the geo-physical realm, massive earthquakes that destroy the underground water table and result in the flooding of the coastal planes, producing starvation that would add to the chaos. The giant tsunami's that will follow the catastrophic earthquakes, coupled with the west coast volcanic eruption will alter the growing season drastically. Biblically, 2/3rds of the world's population will be destroyed during the great tribulation as the 4 horsemen of the apocalypse begin their full gallop across the globe. Jesus stated that if "God didn't shorten the days" there would be no flesh left alive which is the clearest statement yet in history as to where we are now in my opinion. Satan's ultimate desire is the extinction of the human race through all of the above, and with AI and trans-humanism leading the way to our technological extinction through autonomous killing machines, AI robots that become possessed by supernatural demonic entities. The words of Jesus become more timely and more pertinent than at any time in history. The good news is that Jesus provides a way through this time period and shortens the days for those who call upon His name, and accept Him as Lord and Savior." While the focus for this next section of this story will be upon a potential global geological catastrophe which Quayle alludes to and Chan Thomas describes in his book "The Adam and Eve Story" which we've embedded directly below, we quickly point out that the catastrophe described by Thomas would be global in nature and effect not just the US as we see in the massive depopulation being forecast by Deagel. Yet with this book now seeing a lot of attention across the internet in numerous different forums, stories and videos as we hear in the 1st video below, we felt we needed to have this on ANP, especially considering the fact that the CIA for some reason kept this book censored until a FOIA request forced them to release it. What's within it that they don't want us to know? While "The Adam and Eve Story" absolutely details for us what would be a world ending catastrophe with 1,000 mph winds and tidal waves sweeping across the entire planet measuring over a mile high, is the book just the ravings of a madman? And why has the CIA only released this 'sanitized' copy, having censored it completely for years? Please read through this at your leisure and we open it up for discussion in the comment section at the bottom of this story. The books chapter titles are as follows: Chapter 1, The Next Cataclysm. Chapter 2, The Great Flood. Chapter 3, The Story. Chapter 4, The Event. Chapter 5, Genesis. Chapter 6, Conclusion. And while the kind of 'world ending catastrophe' that Chan Thomas' book warns us of may still be hundreds of years away, with the 'Ring of Fire' now going through a series of earthquake clusters leading to scientists warning a major rupture is likely coming sooner than later while 'rumors of wars' are still widespread, we hope that everybody is prepared for the kind of events that we pray never come in our lifetimes. Yet should they be awaiting us in the days ahead, as Steve Quayle wisely tells us, "the words of Jesus become more timely and more pertinent than at any time in history. The good news is that Jesus provides a way through this time period and sortens the days for those who call upon His name, and accept Him as Lord and Savior." In the final video below our videographer outlines Deagel's forecast for America and brings up the fact that these numbers were forecast long before President Trump got into office, numbers formulated using data from the deep state. You can read Deagel's entire explanation here as to why they believe that the US population will drop some 270 million within less than 7 years but we've published a brief excerpt from their website on why they feel this massive culling is coming. There have been many questions about the countries forecast specially the one focusing on the United States of America (USA). They won't be answered one by one but below you can find some explanation, thoughts and reflections. We are going to keep this as short as possible. The majority of the economic and demographic data used in the making of the forecasts is widely available by institutions such as the CIA, IMF, UN, USG, etc. You can see the most relevant data at every single country's page. There is a tiny part of data coming from a variety of shadow sources such as Internet gurus, unsigned reports and others. But all these sources are from the internet and are of public domain for at least a minority. This unseen situation for the States will develop itself in a cascade pattern with unprecedented and devastating effects for the economy. Jobs offshoring will surely end with many American Corporations relocating overseas thus becoming foreign Corporations!!!! We see a significant part of the American population migrating to Latin America and Asia while migration to Europe - suffering a similar illness - won't be relevant. Nevertheless the death toll will be horrible. Take into account that the Soviet Union's population was poorer than the Americans nowadays or even then. The ex-Soviets suffered during the following struggle in the 1990s with a significant death toll and the loss of national pride. Might we say "Twice the pride, double the fall"? Nope. The American standard of living is one of the highest, far more than double of the Soviets while having added a services economy that will be gone along with the financial system. When pensioners see their retirement disappear in front of their eyes and there are no servicing jobs you can imagine what is going to happen next. At least younger people can migrate. Never in human history were so many elders among the population. In past centuries people were lucky to get to their 30s or 40s. The American downfall is set to be far worse than the Soviet Union's one. A confluence of crisis with a devastating result.